Caleb Davenport welcomes you to our Website, where you'll find a wealth of information in the form of newsletter articles, calculators, and research reports. Caleb Davenport is here to help educate you about the basic concepts of financial management; to help you learn more about who we are; and to give you fast, easy access to market performance data. 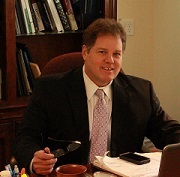 Caleb is a Certified Wealth Strategist, CWS® and an Accredited Investment Fiduciary, AIF®. Be sure to add our site to your list of "favorites" in your Internet browser. We frequently update our information, and we wouldn't want you to miss any developments in the area of finance. We hope you take advantage of our resources and visit us often, not only here, but make it a point to call and set up time to come in to see us personally. Caleb Davenport's compassion and commitment as a financial advisor has led him to dedicate himself to helping clients get through the maze of life's financial uncertainties, which makes him an invaluable friend. It is his desire to help clients find the solutions that will allow them to work towards their own personal financial goals. More about Caleb Davenport.